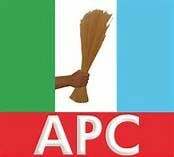 The All Progressives Congress (APC) has again rescheduled its presidential primary, the third time in less than one week. The ruling All Progressives Congress (APC) has for the fourth time shifted its presidential primary from September 27 to September 28, 2018. Yekini Nabena, the APC National Publicity Secretary, who announced this in a statement on Monday (September 24th) in Abuja, said the current rescheduling is as a result of the governorship election rerun in Osun state slated for Thursday. He said; “In view of the Osun State Governorship rerun election which has been scheduled for Thursday, September 27th, 2018, by the Independent National Electoral Commission (INEC), the All Progressives Congress APC has now rescheduled the presidential primary election to Friday, September 28th, 2018. The postponement is the second in 24 hours. The APC had earlier fixed September 25 for the exercise. Earlier on Sunday, the party had announced that the presidential primary would hold on September 27.